If you own Panasonic Eluga Ray 500, please do leave your feedback too. Lowest price of Panasonic Eluga Ray 500 price in India starts at Rs. 5,799 Panasonic Eluga Ray 500 is available on Flipkart at Rs. 6,929 and on Amazon at Rs. 6,666. Prices updated on 24th April 2019. On the display front, the Eluga Ray 500 features a 5-inch HD display bearing a resolution of 1280 x 720 pixels. The pixel density is 294PPI. The display is tucked under a 2.5D curved glass which enhances the user experience. A home button is located below the display which works as a fingerprint scanner for safely unlocking the phone. The device sports a metal unibody. The Eluga Ray Max 500 ships in three color variants i.e. Champagne Gold, Marine Blue, and Mocha Gold. In the optics department, the Eluga Ray 500 flaunts a dual rear camera setup of a primary 13MP sensor and a secondary 8MP sensor. A dual tone LED flash accompanies the rear cameras. Upfront there is a 5MP shooter for clicking selfies and video calling utilities. The camera software has various techniques for enhancing pictures like white balance settings, digital zoom, beauty, ISO settings, wide angle capture, exposure compensation, and scene mode. The rear camera offers Full HD video recording (1080p). On the performance front, the Eluga Ray 500 runs on a 1.25GHz MediaTek MT6737 quad core processor coupled with 3GB RAM and Mali T-720 graphics processor onboard. It performs normal to moderate tasks smoothly without any lags. Coming to the storage, this device offers 32GB internal storage with an option to expand up to 128GB via microSD card slot. 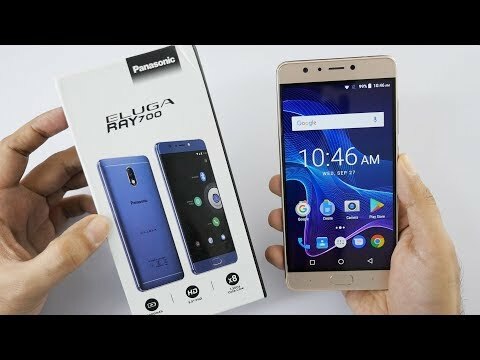 The Eluga Ray 500 runs on Android 7.0 Nougat OS out of the box. The Eluga Ray 500 is backed by a huge 4000 mAh battery life which is not user removable. The device supports fast charging feature. This is a dual SIM smartphone and all the basic connectivity options like 4G LTE, 3G, 2G, WiFi, Bluetooth and VoLTE are included for networking purposes. 1.Does this phone work with Reliance Jio Network? Ans: Yes, since the phone offers VoLTE connectivity Reliance Jio will work well. 2. Is the battery removable? Ans: No, the user cannot remove the device battery. 3.How is the camera performance of this phone? Ans: The Eluga Ray 500 offers dual rear cameras so you can expect good quality images. 4. What comes in the box? Ans: With the purchase of this smartphone, accessories inside the box include device, charger, earphone, SIM ejector tool, user manual and warranty card.